Our Community Cloud is the most affordable way for a small or start-up regulated company to take advantage of our compliant enterprise class infrastructure. The Community Cloud will enable you to eliminate the need of extra IT staff, infrastructure costs and the compliance burden simply by hosting in one of our world-class data centers. Our Private Cloud is for regulated companies with specific data needs, which require additional server and firewall customization or specific hardware requirements. Private cloud gives our customers the opportunity to customize access and settings all the way down to the VMware console. 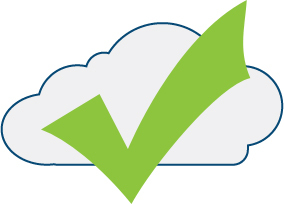 Just like our Community Cloud, our Private Cloud gives your business peace of mind knowing that your data is secure and your regulatory concerns are met. The ByteGrid Hybrid Cloud gives regulated companies the flexibility of utilizing our regulated cloud in conjunction with existing legacy servers and applications. This can be achieved by utilizing private or colocation space provided at any of our fully validated data centers. The ByteGrid Hybrid Cloud gives your business the choices it needs when it comes to data hosting.